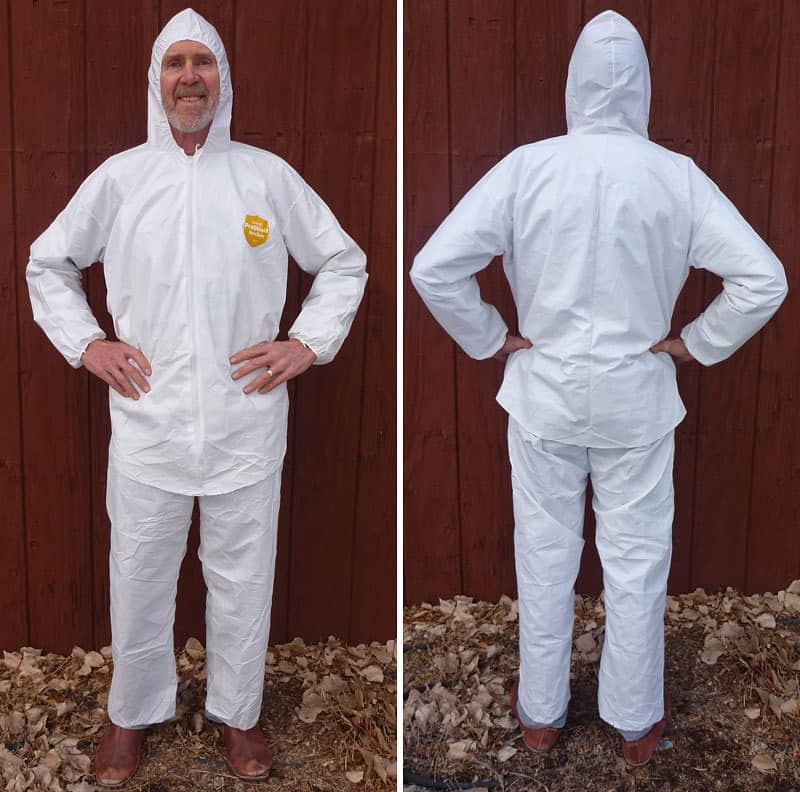 The finished Tyvek hooded rain jacket is extra long and weighs just 5.25 ounces. The chaps weigh 2.6 ounces. You may get some comments about the white color (like “where did you park your space ship?”), but it is actually quite functional because it stays cooler compared to a dark color.